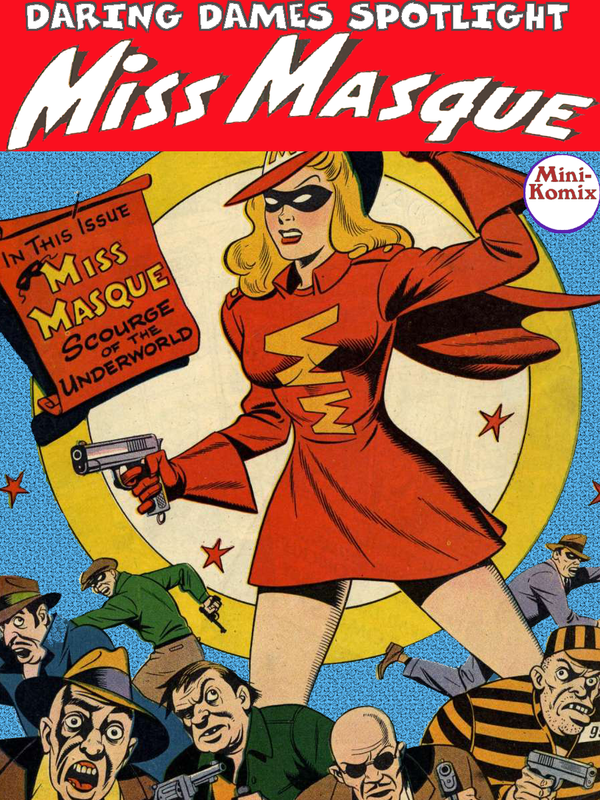 Daring Dames Spotlight shines on the legendary masked marvel, Miss Masque. A veteran of several other comic book universes, here we focus on the early adventure of the original "lady in red". Diana Adams is a bodacious blonde debutante who secretly fights crime as the titular pistol-packing mama in a red hot outfit. In this collection, we see Miss Masque clash with kidnappers, rumble with ransomers, dueling with devils, and manhandling a mob of mummies! A great yarn of superheroine exploits from the Golden Age of Comics! You can catch her at Drive Thru Comics. 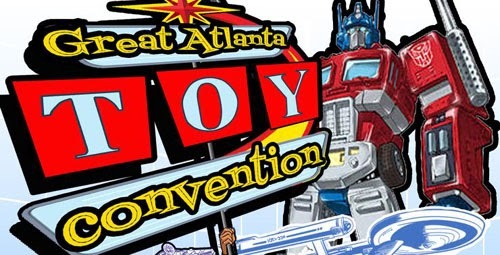 We've got a table at this year's Great Atlanta Toy Convention/Joelanta on Mar. 14-16 at the Marriott Century Center on 2000 Century Blvd., Atlanta, GA. 30345. T.E.D. 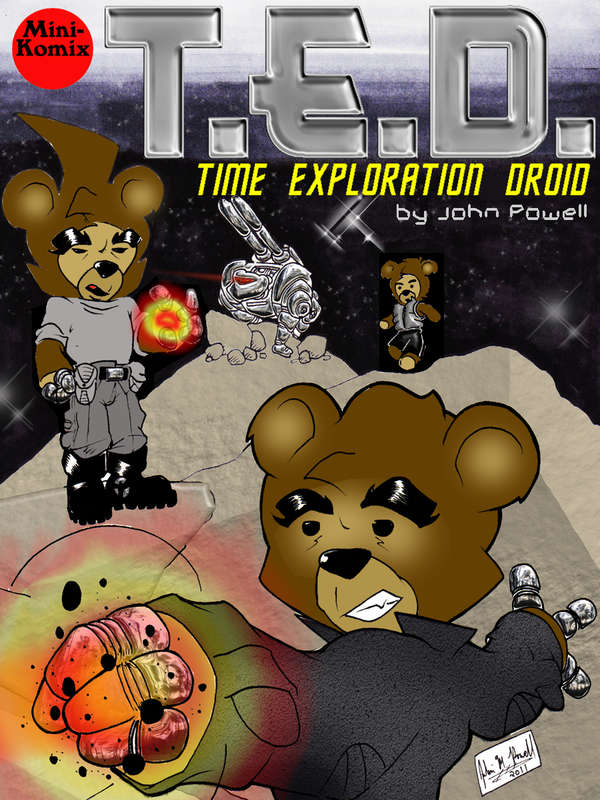 is back, an his entire original story is available for download! T.E.D. was an alien Terran Exploration Droid in 2028 that was reprogrammed by a group of rebels trying to save the planet from invaders. In a last desperate attempt to stop the aliens, the rebels end up being catapulted through space and time in their starship Fairburn. They crash land on a planet of mutant alien zombies, and then T.E.D. himself ends up being collected by alien scientists for research. T.E.D. makes an attempt to alter the future by travelling back in time to modern day by meeting up with younger versions of his allies. A robot teddy bear may be the only hope for humanity in this epic sci-fi trek! Created by John Powell. You can download this at Drive Thru Comics, plus in print and digital at Indy Planet. Labels: Comics & Printed Books, Downloadable Comics, T.E.D.